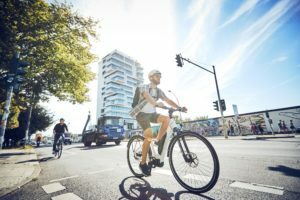 VIENNA, Austria – Good news from Austria: After several years of flat bicycle product sales the market picked up in 2007. 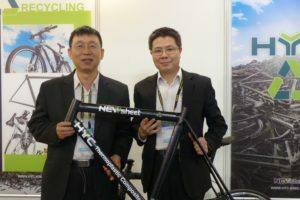 For the first time since the year 2000, more than 400,000 bicycles were sold. According to Statistik Austria/Eurostat Austrian bicycle sales in 2007 reached an estimated 430,000 units. * All 2006 numbers differs from the ones published in BE 5/2006 because they were recalculated by the mentioned sources. “The year 2007 marked the end of a long dry spell,” says a Arge-Zweirad note about bicycle sales in Austria. Actually it wasn’t such a big surprise. In our last Austrian market report covering 2006 sales, we predicted a bright future outlook. This was based on the better overall mood and economy that led to a forecast of total bicycle sales of around 410,000 units for 2007. All the same, the estimate of 430,000 units is also a relief. 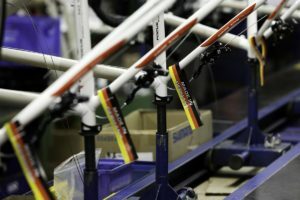 According to Helge Fellner, marketing director at Austrian Shimano importer Thalinger Lange GmbH and spokesman of Arge-Zweirad, the 2007 bicycle season started early “due to the mild winter”. Business was great until May. After a weak June and July, sales picked up again. “Fall was weak again but not enough to harm the good overall performance,” says Fellner. All in all, Arge-Zweirad believes there was a 13.2% increase in complete bicycle sales and a 7 to 10% increase in parts and accessory sales in 2007 (compared with 2006). Moreover there is a clear trend toward high-value product brand sales. MTBs in particular saw higher value sales. And the all-important trekking bike – the biggest piece of the Austrian cake – revived to ‘normal’ levels in terms of unit sales. On the other hand road bike sales came down to earth after years of extraordinary increases. According to Statistik Austria/Eurostat, 2007 home production increased (compared to 2006) 5.7% up to 148,000 units. Exports were 115,000 (up 15% – mainly by Austria’s market leader KTM Fahrrad GmbH) and imports 355,000 units (up 7.6% – see also chart 1). The basic and widely used formula of “home production minus exports plus imports = domestic delivery” would have yielded 388,000 units. As in previous years, Arge-Zweirad explains the gap between this amount and the mentioned total sales of 430,000 units with “overstock from the previous years in various distribution channels”. This means that a total of 42,000 bicycles (= 430,000 minus 388,000 units) in stock must have been sold through the IBD, sporting goods chain and/or mass merchant distribution channel. Compared with the previous year, overall unit sales increased by 13.2% and overall value sales by 16.8%. The total value of sales in 2007 reached € 237.57 million, says Arge-Zweirad. According to the industry association, in 2007 the nation’s strong sporting goods chains kept a majority stake of 59% of bicycle unit sales and 50% of sales value. IBDs reached a 28% stake in unit terms and a 47% stake of value. The third player on this field – mass merchants – reached a 13% unit and only a 3% value sales market share. Market share by total turnover (= complete bicycles, part and accessories, bikewear) is estimated by Arge-Zweirad as follows: sporting goods chains 52%, IBD’s 40%, mass merchants and others 3% and e-commerce and mail order suppliers 5%. 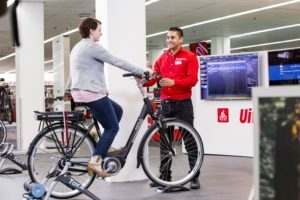 The sporting goods chains’ bicycle product sales are divided between Intersport (approximately 55%), Hervis (20%), Giga Sport (14%), Sport 2000 (11%). For market share by bicycle category, see chart 2. Arge-Zweirad also gives some details about the development of each category compared with the previous years. While the so-called mobility segments of trekking- and citybike showed a strong 19 and 16% unit sales increase, mountainbike and ‘offroad’ (= MTB lookalikes) reached an 11% increase each. Kids/juvenile bike sales showed a 9% and road bike unit sales went up by just 2%. According to Arge-Zweirad there was only one 2007 price category with shrinking sales compared with 2006. It’s the bicycle sales price range € 300 to 450 (minus 10 to 15%). All other segments below and over this decreasing price range experienced stable or increasing sales. Increasing sales are reported by the entry-level sales price range up to € 150 (estimated 10 to 15%) but also by € 450 to 600 (15 to 20%) and € 600 to 750 (10 to 15%) as well as from the top price range more than € 1,500 (up to 5%). Due to the good sales year in 2007, the current overstock situation is better than expected. 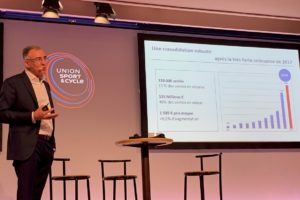 Therefore the Austrian bicycle biz is expecting a further “positive development”. But as always it’s also a question of weather conditions at the season’s opening in spring. Nevertheless the overall mood is positive.